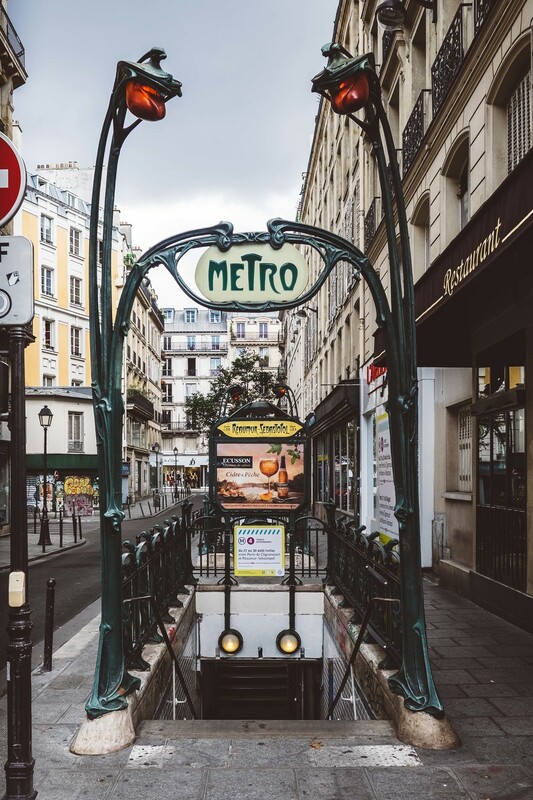 The eye-catching art nouveau entrances to the Paris metro stations were designed by Hector Guimard in 1900. Built from cast iron, they make heavy reference to the symbolism of plants with the orange lamps being enclosed by a leaf as seen in this example at Réaumur-Sébastopol. The more elaborate édicule design with a fan-shaped glass awning is now extremely rare with only two original examples still remaining at Porte Dauphine and Abbesses.